Cross-country races run the gamut. Some are epic tests of aerobic challenge, but lack any real technical difficulty. Others trend the other direction, requiring its competitors to have both a big engine — and the ability to handle a bike. Being that my personal genetic ceiling is decidedly low, I prefer the later. You might as well get some reward for all your hard work. And those technical challenges mean the race’s top riders aren’t simply those who can hammer out the most watts mile after mile. A prime example is the Gunnison Growler presented by Ergon and powered by SRAM. 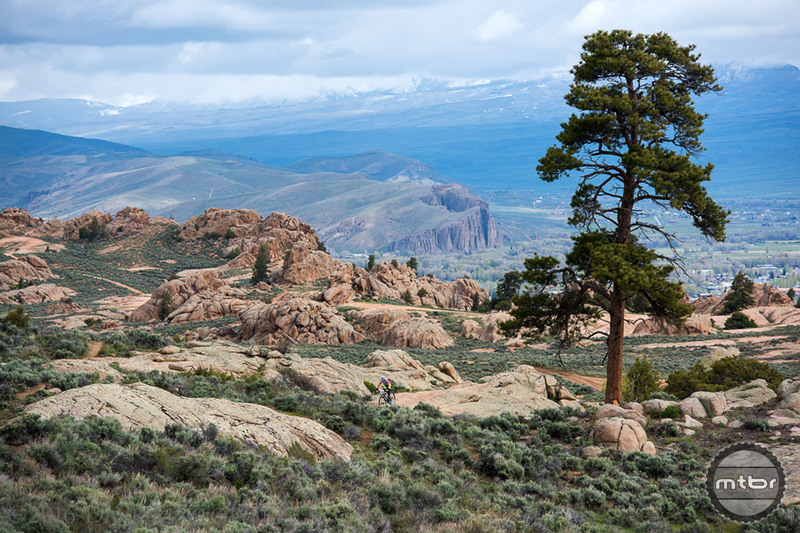 This 64-mile cross-country race is held annually over Memorial Day weekend (May 28-29) on the Hartman Rocks trails just outside Gunnison, Colorado. 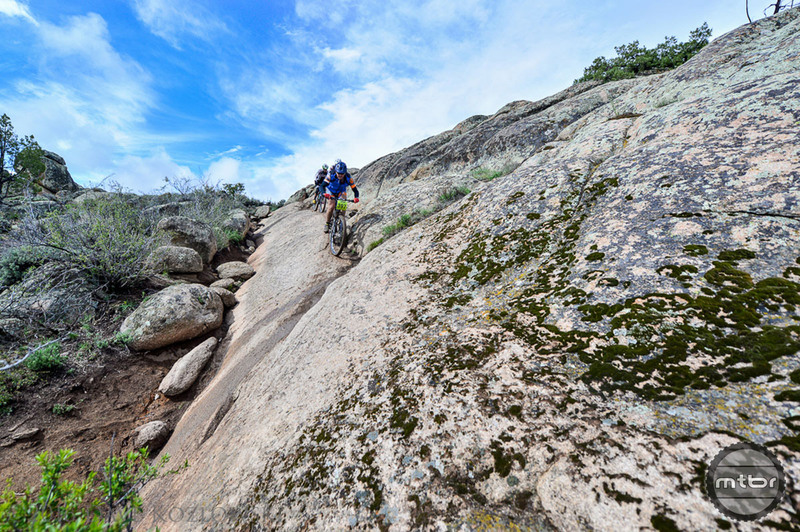 No climb is more than 250 vertical feet, but the sheer volume of short (and often tricky) grunts combined with a steady stream of short, techy descents make this a true mountain bikers race. Indeed, the event website warns that entrants should be “experienced mountain bikers only.” You need to have good judgment and be able to read the trail. To learn more about this race and all the good it does for the local community, Mtbr sat down with Mountain Bike Hall of Famer and Leadville legend Dave Wiens, who runs the event. Mtbr: Let’s start by talking about the race’s arena, Hartman Rocks. What is it like? 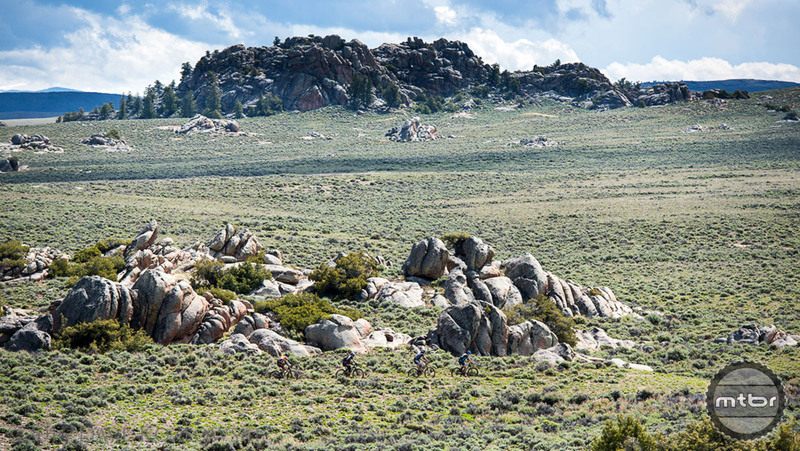 Dave Wiens: It’s about 50 miles of singletrack that offers a fairly unique riding style that we describe as seas of sagebrush with lots of flowy and fast that’s pocked with more technical problems on granite rock. When you do the Growler you get to see about 25 of those miles. If you want to learn more, the MTBhome.com website is a really good source of information. There are also a few good maps that you can pick up at one of the local bike shops. The inspiration for this race: the 64-ounce beer growler (click to enlarge). Mtbr: So the full Growler is two laps of that course? DW: Exactly. 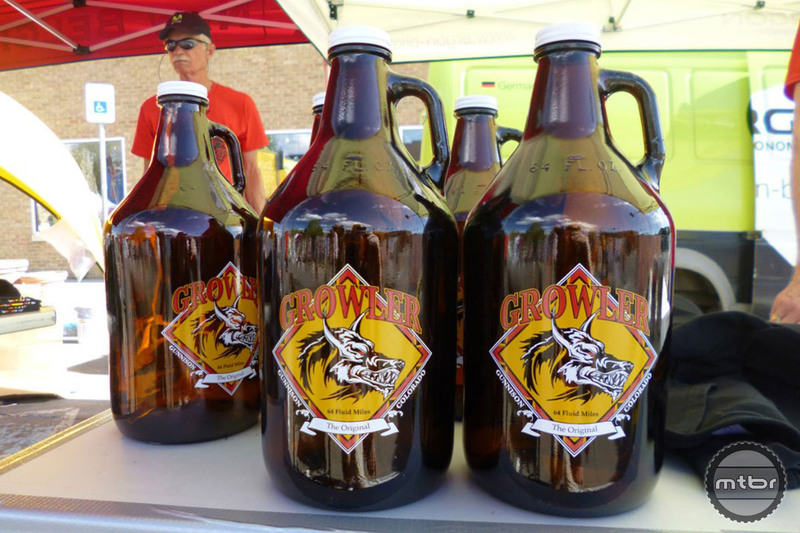 We also offer a Half Growler. Either way I tell people the race is bookend hard. The course starts hard and ends hard, but you get a little rest in the middle with a few road sections. There are no huge climbs either — 250 vertical feet is probably the biggest and most are less than 50 feet. It’s really a death-by-1000-cuts kind of course. You can never gear down and just spin. You are always having to work. If I haven’t been riding for a while and I go out to Hartmans I really feel it in my legs — and my upper body. It’s the kind of race that can make an okay rider a good rider in the span of a day. Mtbr: What are top times for the 64-mile full Growler? DW: The men’s winner is usually right around 5 hours, and last year’s women’s winner was about 45 minutes off that. For most people anything under 6 hours is a really fast time. It’s akin to the 9-hour mark at Leadville if you’re familiar with that race. We had 21 guys under 6 hours last year, and that was out of 144 finishers. Mid-packers were in the 7-hour range. The last finisher was just over 9 hours. It’s a long day no matter who you are. Mtbr: What’s the ideal bike? DW: For most people it’ll be a full suspension cross-country bike. You want something snappy that you can pop over short punchy climbs. Personally, I’d ride a hard tail, but I’m old school like that. As for tires, don’t go too light. There are not a lot of sharp rocks out there, but there are a few really sharp ones. The Ridge Trail has some razors. That looks like a lot of fun, I will put that on my list for 2017. I am east coast but I love the Gunnison area for its riding and its geology. I first rode Hartman 17 years ago and it was a blast, flat and fast on top and the climb from the parking lot up the wall is short but brutal. The granite ridge offers super fun technical riding. It is a sea of sage up on top. I look forward to going back soon. A trip should include CB, Hartman, Monarch, and Salida trails.